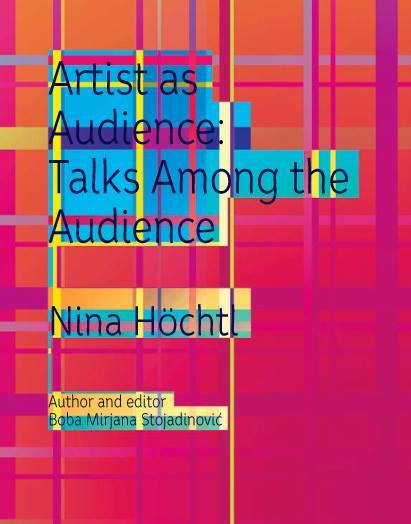 The book Artist as Audience: Talks Among the Audience was published in Serbian in early 2014. It presented the project Artist as Audience:: Forum: Audience on Visual Artworks that runs since 2010 in Belgrade. The book contains 31 discussions of which 15 are completed with edited transcripts of the discussions. After the Serbian version a booklet in English is presented to the public. It contains an introduction and a discussion on the work by Nina Höchtl. This publication was made possible by the Austrian Cultural Forum, Belgrade. The lecture performance focuses on the 1970’s activities of an all women art space in Vienna, which was founded in 1910 and is still active today: The Vereinigung bildender Künstlerinnen Österreichs (Austrian Association of Women Artists, VBKÖ). The VBKÖ initially campaigned for the artistic, economic and educational interests of women in the arts and rented a space in the center of Vienna, where it still is today. Despite its progressive beginnings, the association decided to collaborate with the Nazi regime in 1938. From the perspective of the nascent Viennese Feminist Art Movements in the 1970’s, the association had fallen into oblivion. Nevertheless, it was active in the 1970’s – it is just not clear what these activities were about. Who were the members? Did internal discussions about a post-Nazi position take place? Was there any contact to the local Feminist Artist Movements? We look at the space of the VBKÖ that existed unnoticed and in parallel to the feminist movements in order to not only figure out how we can still inhabit it today but also how a historical methodology might also be a political intervention into the present. One of the important elements of the women’s art movement emerging in the 1970s was the creation of all women art spaces. They existed for a longer period of time or just during one exhibition or even one performance. They were to offer an alternative to the unfriendly reality of male-dominated art world and aimed at creating an environment where women artists could address the experiences of women. The most famous of them – Womanhouse (Los Angeles 1972) – has already been thoroughly analysed. This panel seeks to explore much lesser known women art spaces functioning in different European countries. Its focus will be on the 1970s but proposals that deal with initiatives that were undertaken later are also invited. Papers are expected to analyse ideas, forms of their implementation and effects of these diverse heterotopias. The panel chair’s proposal to characterise all women art spaces as heterotopias is to be discussed. 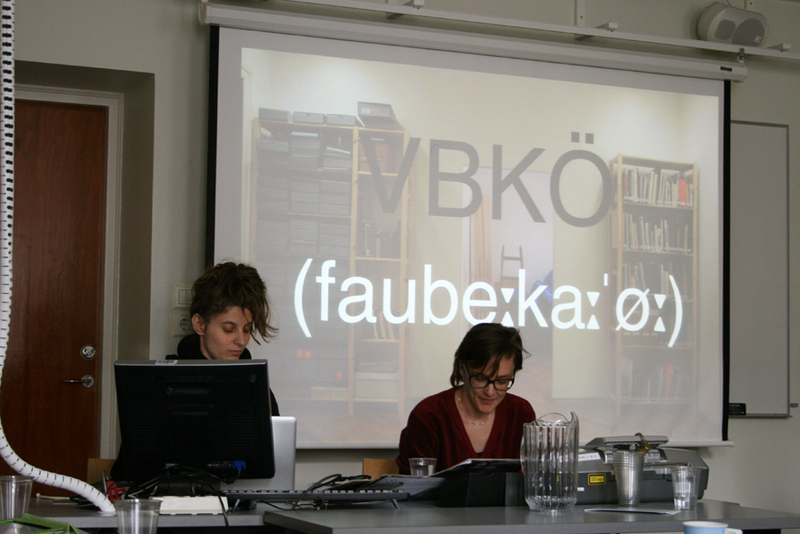 THE VBKÖ’S ARCHIVE AS A SITE OF POLITICAL CONFRONTATION OR HOW TO SING OUT OF TUNE?